It was a glorious Monday evening as Nick Bonino's fantastic off-season continued with his game-winning goal to give Pittsburgh a 1-0 series lead. Everyone is talking about the success that the Penguins had in Game One, but I saw some things that should worry the Penguins and their fans. 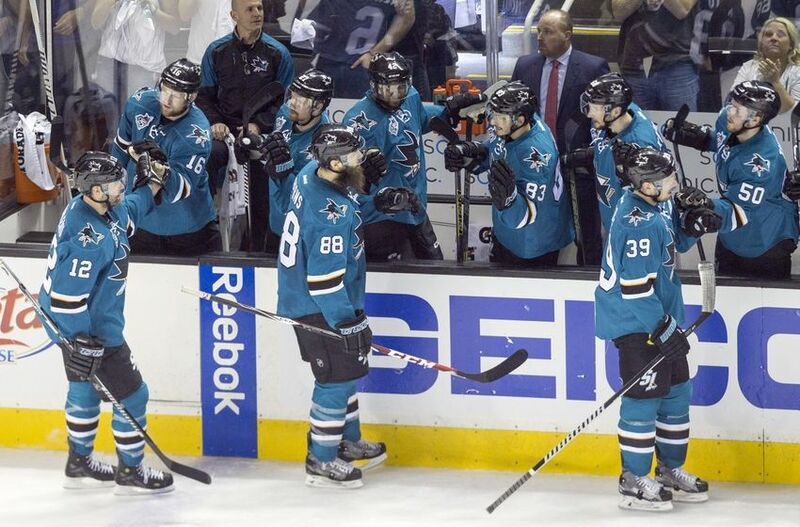 This is a Sharks team that has been resilient all season long, and they seem to learn from the mistakes they make. The Penguins got an early lead, but it was the Sharks who began asserting themselves over the remaining forty minutes of the game. 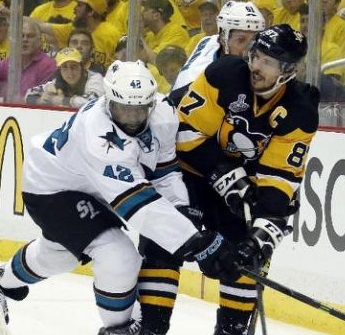 The San Jose Sharks showed that they have just as much speed and skill as the Penguins do. There was no point in Game One where you could see an obvious mismatch in the speed that the coaches were putting on the ice, and this is a good sign for San Jose who use that speedy transition game to make teams pay. Where the Sharks will need to be better is watching for the Penguins' defencemen jumping into the play. 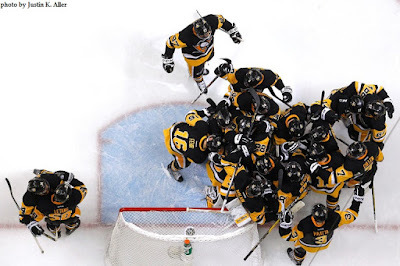 The game-winning goal by Bonino was a direct result of having Kris Letang forechecking below the goal line, and there were often times when Justin Schultz would pinch into the zone almost playing a rover-type role. If San Jose can exploit this, they'll see a lot of odd-man rushes going the opposite way. While head coach Pete DeBoer doesn't have the luxury of last change, he did an excellent job in getting the match-ups he wanted against the Penguins' forwards. Patrick Marleau will receive no supplemental discipline for his hit on Bryan Rust, so his line-up will remain intact. I expect Joe Thornton to have a better game against Evgeni Malkin's line, and that could be the difference in Game Two. It looked as though Thornton was frustrated at times in the game, and I'm sure Pete DeBoer has assured him that not only will he see a different line at home but that he needs to elevate his game once more. There were mistakes in Game One on both sides, but the Penguins capitalized on a quick start and some mistakes made in the defensive zone by a couple of reliable rearguards in Brent Burns and Marc-Eduoard Vlasic. They'll watch the video and make notes on where they need to be better, but don't expect the same errors to be made twice. The Penguins will need to work hard in the offensive zone if they hope to take a second-straight game for the Sharks, and both Burns and Vlasic will do their parts in preventing that from happening. Game Two on Wednesday will most certainly look different, and I wouldn't at all be surprised if the series shifts to San Jose tied at 1-1. The Penguins need to use that home-ice advantage as much as they can because I have a feeling this series will take on a Western Conference feel once the two teams start playing in California. 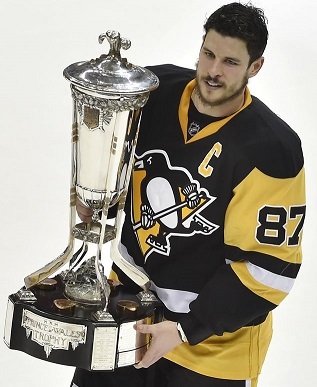 There are all sorts of superstitions that hockey players follow at this time of the year, but the one that gets most talked about is who touched the Conference trophies. Sidney Crosby, pictured to the left, touched the Prince of Wales Trophy just as he did in 2009 when the Penguins won and unlike in 2008 when the Penguins lost. Joe Pavelski of the San Jose Sharks wanted nothing to do with the Clarence S. Campbell Trophy when Bill Daly presented it, so it goes to reason that the Sharks will win since you only touch the trophy you want. Of course, there are possibly seven games of hockey to decide that as well, but superstitions are what they are. In saying that, the HBIC Playoff Pool pushes onward as we have one round to go, and there are prizes to be won! Scores are being tabulated and calculated today, so there should be an update sometime today and updates are done! In the meantime, let's get you setup with the new spreadsheet. If you're going to risk point, you can risk all that you want, but you must call a perfect series - every game's winning team correctly. Don't worry about calling the game-winning goal scorers correctly as those are bonus points. If you risk points, the bonus points won't matter because you're betting on a big payoff. Think about the series and plan accordingly if you bet points. You only get one shot to shake up the entire leaderboard! Here's the final Excel document. It can be opened in both Microsoft Excel and OpenOffice Calc. Fill it out and send it back to me WITH YOUR NAME AS THE NAME OF THE EXCEL DOCUMENT just like you did in the first round, but note that it is a Round 4 spreadsheet (ie. TeebzR4.xlsx). Send all picks to the pool email address: hbicplayoffpool-at-gmail-dot-com. The prizes have been posted. The scores after three rounds of play will be revealed later today. Best of luck, entrants, and may the odds forever be in your favor! 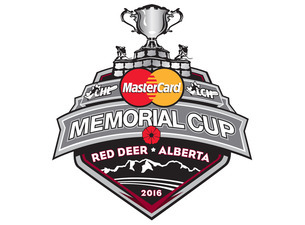 The Mastercard Memorial Cup has finished up for another year, and it was another excellent finish to the tournament. The top team in most CHL rankings in the Rouyn-Noranda Huskies squared off against the best offensive team across this nation in the London Knights. The QMJHL's Huskies were known for their defence and goaltending while the OHL's Knights shredded their competition with an offence that always seemed to be hungry for more goals. London had earned the bye to the final through the round-robin play while Rouyn-Noranda's only loss came at the hands of the Knights through the preliminary round. The rematch was on Canadian junior hockey's largest stage as these two teams battled for hockey supremacy! London certainly tried to impose their will through the first period, but the closing speed of the Huskies' players was impressive. Mitch Marner, Matthew Tkachuk, and Christian Dvorak had been laying waste to every team they encountered through the OHL Playoffs and into the Memorial Cup tournament, but Rouyn-Noranda were up to the task in skating with the high-flying Knights. The game would remain scoreless through the opening period. It was the first time in the tournament that the Knights would be held off the scoresheet in the first period. The second period saw the Marner-Tkachuk-Dvorak come alive. Marner floated a beautiful saucer pass across to Tkachuk who tapped it past Chase Marchand at 10:41 for the 1-0 London lead. There were cheers, but the Red Deer crowd certainly erupted 15 seconds later when Francis Perron converted a gorgeous feed from Timo Meier to beat Tyler Parsons, and this game was knotted up at 1-1. Despite seeing the Huskies beat the hometown Rebels in the semi-final, it was clear that the underdogs were the crowd favorites in this game. Despite some chances at both ends in the first-half of the third period, it was Rouyn-Noranda who would take the lead. Julien Nantel took a pass from Alexandre Fortin and found room past Parsons to put the Huskies up 2-1 with ten minutes to play. It would be the first time in this Memorial Cup tournament that London would trail, but the Knights continued to push and were rewarded with 4:11 to play when Christian Dvorak took a backhanded pass from Aaron Berisha and snapped a shot past the blocker of Marchand to tie the game at 2-2. Both teams would finish the final four minutes with no additional goals, so we'd be off to overtime for the second-straight Memorial Cup Final! 7:49 into overtime, we'd see a Memorial Cup-winning goal scored! Matthew Tkachuk scored his second goal of the game - or was at least credited with his second goal - just under eight minutes into the extra frame to give the London Knights their second Memorial Cup Championship in team history! "It actually might have hit off (Christian Dvorak's) back, it changed directions a little bit, doesn't matter, we'll both take it," Tkachuk told reporters after the game. He also revealed that he's been playing on an ankle that he had sprained in the OHL Playoffs. All of that couldn't slow down Tkachuk who had himself an impressive spring tournament and cemented himself as a top-five NHL pick this summer. London went 4-0 in the Memorial Cup following an impressive 13-game winning streak they put together in the OHL Playoffs. To see a team go 17-0 in the biggest games of their season is more than just remarkable, it's nearly unfathomable. "To win so many games in a row through the playoffs and this tournament is a credit to these guys because we’re playing good teams," head coach Dale Hunter told reporters. "These are all the top-end teams. To go 17 in a row is unheard of. Likely never be repeated." Mitch Marner was named as the Memorial Cup MVP after scoring 14 points in just four games. Tkachuk and Dvorak finished second and third in scoring in the tournament, so it gives you an idea of just how good that line was for London down the stretch. All told, 19 year-old Marner finished the regular season with 39 goals and 116 points in 57 games and was named as the OHL's regular season MVP, the OHL Playoff MVP, Canadian Hockey League MVP. He appears to be a solid pick, Leaf fans. "It's been a great year," Marner said. "I've never had more fun with a group of guys. We were down 2-1 late in the third, the best thing about this team is we never give up and it showed again tonight." Now that all is said and done, this Knights team should be compared to some of the best CHL teams that have won the Memorial Cup. They showed that they have the offence that can shift into a higher gear when needed, but also displayed an effective defensive game backed by Parsons in the blue paint. While they weren't supposed to rely on their defensive game, the Knights showed that they are three-dimensional by playing strong defence and showing off some solid goaltending. All three zones were danger zones when the Knights had the puck, and they struck with deadly accuracy while shutting down the opposition's stars. That's excellent two-way play. Congratulations to the London Knights on their Memorial Cup victory! While Rouyn-Noranda, Red Deer, and Brandon fell short, you can bet those programs all learned a thing or two about themselves and how to play the game in their losses to the Knights! I spent my entire Saturday out in the sun and excellent weather at the Play On! tournament in Winnipeg. It was a glorious day that started off a little gloomy with weather forecasts calling for rain throughout the day, but Mother Nature decided to be a teammate today as the sun came out later in the day and everyone stayed dry as the rain held off! Play On! is the largest tournament of its kind on the planet as the 4-on-4 street hockey event travels across Canada to all the major cities. There are different levels of play and age groups that ensure that your group - blossoming NHL stars or kids who play rec floor hockey - find the right age group and skill level. There were some amazing games played over the weekend in a few of the elite level divisions, and I have to say that some of the best teams came from both the co-ed and women's divisions! As a referee at this event, I had the pleasure of interacting with some of the teams as they played the game, and I was very appreciative of the teams that recognized that there is no Stanley Cup being awarded. The teams that came out and had fun were the teams that were more successful as those with dreams of stardom found out that Play On! is more about fun and teamwork than it is about highlight-reel goals and trying to embarrass another team. Overall, there were lots of fist bumps, high-fives, and handshakes all Saturday as the teams competed to see where they ranked for Playoff Sunday. All teams were guaranteed three games with their entry fees, and everyone got a shwag bag filled with some great loot. Even the teams that were over-matched in their respective divisions seemed to be some of the better teams to deal with - they came to have fun, and that's the most important part of the Play On! events! For the HBIC Playoff Pool entrants who may be reading this, because I am away from a computer all weekend, the Round Four pool spreadsheet will go up on Monday morning. I'll also spend whatever Sunday night I have calculating the updated scores. Watch for those Monday because I'm quite certain some of you will be risking points! Keep an eye out for that! I'll be off the concrete after winners are crowned on Sunday at the Play On! event. Good luck to everyone in the tournament! The Penguins finally won a Game Seven on home ice at the Consol Energy Center, and they're headed back to the Stanley Cup Final. It's been seven years since the team appeared in a Stanley Cup Final, winning over the Detroit Red Wings the last time they played for the Silver Chalice. I could list a few other notable achievements that this win brings with it, but there is one major difference for me: I get to watch my team compete for another Stanley Cup. My brother is a Los Angeles Kings fan. He's a huge Drew Doughty fan, and he often stays up long past midnight trying to watch the Kings decimate their opponents. He's been lucky enough to have seen his team win two Stanley Cups in recent years, and he's watched them play in Staples Center and in Chicago. Needless to say, he's enjoyed the recent success of his team. My dad is a Boston Bruins fan. While there has been less total success for the Bruins, my dad has seen the best of the Bruins over his years: Bobby Orr and Phil Esposito, Ray Bourque, and Patrice Bergeron. He's been witness to a few Stanley Cup celebrations in his time as a fan of the "big bad Bruins", and he is adamant that the team will be back next year after missing the playoffs this season. The one team of the three of us who hasn't seen any Stanley Cup success in the last few years is my team, the Pittsburgh Penguins. However, I watched the Mario Lemieux goal against the Minnesota North Stars in 1991. I watched Jagr dance off the half-boards past a handful of Blackhawks in 1992. I witnessed the heartbreak in 1993 as I stood in a hockey card shop in West Edmonton Mall as David Volek ended what could have been a dynasty with his goal - it was the only place I was legally of age to watch the game if you must know. I saw Max Talbot put the Detroit Red Wings away in 2009 after losing to the Red Wings in 2008. I have seen my share of success for my team as well. Monday night, the San Jose Sharks will skate on to Consol Energy Center ice for their first appearance in the Stanley Cup Finals ever while Pittsburgh will make their fifth appearance in the big dance. I'm psyched for this series. It's all about speed and skill, and for those proclaiming that the NHL is a copycat league this Stanley Final should tickle them pink. Get buckled in for what might be the fastest, highest-scoring Stanley Cup Final in some time, kids. This one should be a gooder! The Hockey Show, Canada's only campus-produced hockey radio show, hits the airwaves tonight talking all things ball hockey as Winnipeg gears up for two major tournaments this weekend! It's funny that I think back to my days as a kid on the cold, snowy streets where we would battle nightly with a rickety old net and a frozen tennis ball, and now we have a national tournament that embraces the street hockey mentality and another that embraces the organized hockey idea. If only I could go back and tell my youthful self what was to come! 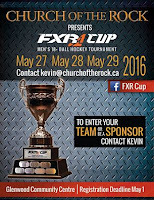 Kevin Wilson, the man behind the FXR Cup, will join me tonight as I navigate the airwaves alone! Kevin will have two of last year's FXR Cup Champions with him tonight, and we'll talk about this year's tournament, some of the great prizing available, and who may challenge for the FXR Cup title! Of course, we'll also chat about the NHL Playoffs, the San Jose Sharks making their first appearance in the Stanley Cup Final, Game Seven of the Lightning-Penguins series, Matthews vs. Laine, and much more tonight! These guys know their hockey, and they'll be filling in for Beans who will be working a job late into the evening, and filling in for TJ who will be off to a conference in Calgary! Good luck to these fine gentlemen on these excursions! The phones are wide-open for any question you may have about the FXR Cup tonight so give us a call at (204) 269-8636 (269-UMFM) if you wanna get in on the discussion! Make sure you tune your radio dial in the Winnipeg region to 101.5 on your FM dial or listen live between 5:30pm and 6:30pm CT on your web-enabled device at the UMFM webpage! Tweet me anytime with questions you may have by hitting me up at @TeebzHBIC on Twitter. You can also post some stuff to Facebook if you use the "Like" feature, and I always have crazy stuff posted there that doesn't make it to the blog or show. 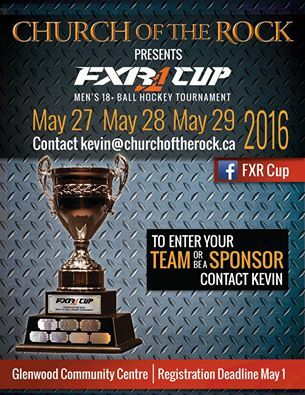 We're talking FXR Cup on The Hockey Show only on 101.5 UMFM! It's not often that we see rostered players get traded during the playoffs, but that happened tonight. 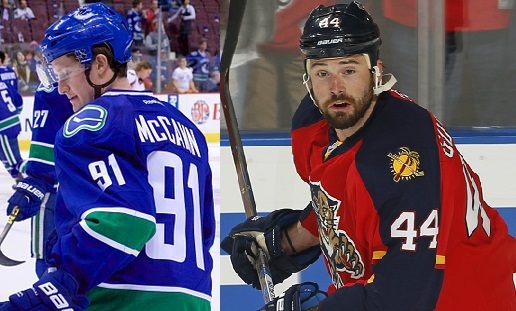 The Vancouver Canucks and Florida Panthers swapped players and draft picks in a surprising deal that begins the transition of the Panthers as analytics take over from Dale Tallon's instincts. Vancouver addresses a need in getting a solid defensive defenceman while Florida gets a couple of good picks and a relatively unproven young talent that they can mold into a solid NHL player. Vancouver dealt rookie centerman Jared McCann, a 2016 second-round pick, and 2016 fourth-round pick to the Florida Panthers for defenceman Erik Gudbranson and a 2016 fifth-round draft pick. What makes this deal a little odd for the Panthers is that they had just agreed to an extension for Gudbranson on May 9 to the tune of one-year at $3.5 million, so dealing him some two weeks later comes as a bit of a surprise. Gudbranson wasn't ever going to be a offensive dynamo, but he was a guy who stood out on the Panthers blue line due to his size: 6'5" and 220lbs. He blocks shots, he skates fairly well, and he plays a more rugged game than most did in Sunrise, but he was fourth in minutes-played for the Panthers' defencemen. He was also the youngest of the Panthers' rearguards, so he still had room to grow. Or so it was thought. "He is an important part of our young core who has continued to develop into a reliable, physical presence on our blue line and a strong leader in our locker room," former GM Dale Tallon said after Gudbranson has re-signed. Now, all that lip service is hot air as Gudbranson moves to the west coast. The Canucks were looking to upgrade their blue line, and they can do so by trading a second-round pick for an NHL-experienced, young defenceman who towers over his opposition. There is some work to do to make Gudbranson a top-pairing defenceman, but his size and rugged play will be put to good use. You have to wonder if the Canucks will pair him with 6'7" Nikita Tryamkin at some point to have the twin towers on the blue line, but he should fit in nicely with the youthful Canucks defencemen. Jared McCann was the 24th-overall pick in the 2014 NHL Draft, and he played 69 games in his rookie season this past year as he posted nine goals and nine assist. His face-off winning percentage was only 30%, but that's a normal trend for rookies and a stat that will only go up from this past season. McCann was viewed as a future scoring centerman, but he'll take his talents to Sunrise where they'll work to make his sophomore season a success. McCann will have some work to do in grabbing a roster spot with the Panthers next season, though, as he'll need to slot in behind Aleksander Barkov and Nick Bjugstad next season. He'll battle Quinton Howden and Vincent Trocheck for a spot, but Trocheck's great season this past season may keep him on the Panthers' roster, making the last centerman spot a battle if Dave Bolland is healthy. Having McCann start the season in Springfield shouldn't be seen as a setback or a demotion. He does ned to work on winning more face-offs with regularity, and finding his scoring touch will be vital in seeing McCann step into an already dynamic line-up that Florida ices. Getting some AHL experience against experienced teams and players in Toronto, Hershey, Providence, and Wilkes-Barre/Scranton won't hurt McCann's growth as a player whatsoever. With Florida getting the 33rd-overall and 93rd-overall picks added as part of the deal, they should be able to pick up additional talent on which to build. Restocking the cupboard is something all teams have to be on top of, and by grabbing a couple of decent picks with a solid prospect the Panthers have done a good job in adding some potential scoring with the possibility of adding more. If analytics told the Panthers to deal Gudbranson, some one missed what can't be quantified in size and skating ability with Gudbranson. If we're talking about a winner in the trade, though, the immediate winner would have to be Vancouver as they get an NHL-experienced defenceman, but the Panthers may win this trade if we look five years down the road. Do analytics allow one to predict the future in five years? We'll soon find out! There were guarantees and promises made, and we witnessed the Penguins make good on pushing this series to a Game Seven in Pittsburgh's Consol Energy Center on Thursday night. In making those promises, Pittsburgh's stars showed up to play: Kessel, Letang, and Crosby all scored en route to a 5-2 victory over the Lightning. It was a game that Pittsburgh had to win or they would have headed home with a number of media outlets waiting to rip them for coming up short again. Instead, they head home looking to silence their critics once more. It's strange how a team that has silenced their doubters time and again this season has to go home to do it yet again. At first, they were a floundering team with stars that weren't producing early in the season. With Mike Sullivan stepping aboard and losing three-straight games, the Penguins' offensive stars weren't doing enough to justify the salaries they were receiving for the responsibilities they were getting. Instead, Mike Sullivan took a team that was woefully bad in the early part of the season, established himself as the man calling the shots behind the bench and in the dressing room, and guided this Penguins team to an improbable run that culminated with them finishing in second-place in the Atlantic, ousting their rivals from Manhattan, and then decidedly beating the Presidents Trophy winners in the Washington Capitals. Yet this team still isn't good enough in some eyes. The stars were questioned after the Game One loss. There were injuries and a slow start that hampered Pittsburgh in Game Four. There were questions about goaltending in Game Five that saw the Penguins lose a lead and lose in overtime. There were additional questions about a goalie controversy after the Penguins dropped two-straight games. If you put it all together, there were major questions about the Penguins loading up on talent and missing the goal again. We've seen this story before under former GM Ray Shero. The Penguins made a couple of big acquisitions to give them a push in the playoffs only to fall short of the Stanley Cup, sometimes in rather spectacular fashion. Jarome Iginla and Marian Hossa didn't bring a Stanley Cup to Pittsburgh, and there was a lot of chatter about how Phil Kessel's time in Pittsburgh was looking awfully disappointing. Instead, GM Jim Rutherford retooled on the fly once more, adding Nick Bonino in the off-season in what was thought to be a cost-cutting measure after offering up Brandon Sutter in the Bonino deal. Rutherford looked at his slow-footed and often inept defencemen, and made deals to bring in Trevor Daley, Justin Schultz, and promote some of the kids. In doing so, he added youth and speed to a blue line that was sorely in need of some, and vastly improved the back-end of the Penguins team. Toss in a deal where the struggling David Perron was dealt for the speedy Carl Hagelin, a wise signing of the veteran Matt Cullen, some promotions in Connor Sheary, Tom Kuhnhackl, and Bryan Rust, and this Penguins team is working together from top to bottom. Management and coaches are identifying needs, players are responding to coaching, and teammates are working together. Yet there are still some who question the makeup of this team. They made a guarantee like almost every athlete does to push this series to a Game Seven. They made promises to send this series back home to Pittsburgh. They looked to their stars who were making these promises and the stars responded with an effort. It's easy for reporters to sit back and make accusations about the leadership qualities of Sidney Crosby or the make-up of the team and how things aren't quite gelling as they should be, but the Penguins still have a shot at the Stanley Cup. I'm not going to make a prediction one way or the other. 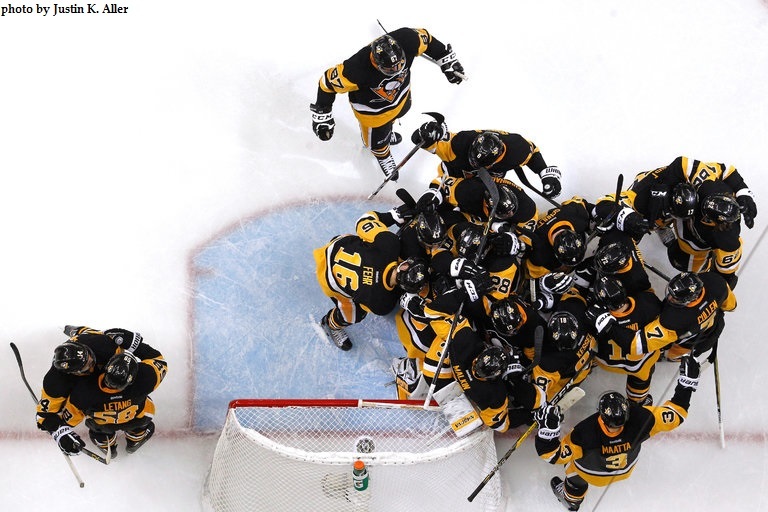 I will say that Sidney Crosby has scored the game-winning goal in each of the three wins that Pittsburgh has earned, and that he stood up in front of the dressing room when down in Game Four and demanded more from his troops. He got it. He made promises, along with Malkin and others, about the effort they were going to give in Game Six, and they delivered. Character isn't a term or intangible that can be quantified, but character and talent can be and we saw that effect tonight. The Penguins' stars decided that they weren't done in the these playoffs and wanted one more home game at least. They talked the talk and then walked the walk. Reporters got a great story out of it, and they filed their pieces knowing that they'll get one more game between the Lightning and Penguins. This Penguins team, for all its been through this season with their ups and downs, have developed some real character. From the GM's office to the coach's office to the dressing room, this team has been spun through the ringer by the press and bloggers enough to know there are massive expectations on their heads. If the Penguins lose on Thursday, these questions will all be asked once more by reporters who should know they got beaten by a better team on that night. If they win, however, let's put the questions about character and effort to rest for this season, ok? The Brothers Of Victoria (Day)! 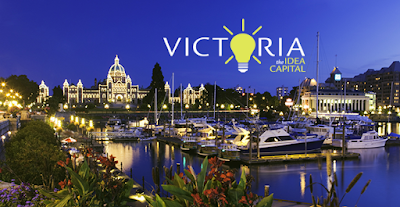 Victoria Day is a federal Canadian holiday that honours Queen Victoria's birthday. It's a pretty important day in Canadian history as it is generally recognized as the day of Canada's sovereign birthday, and it usually seen as the first long weekend of the summer in the Great White North. In my neck of the woods, it's usually a weekend marked by rain and/or snow depending on the temperature, but precipitation is normal. Today, however, we look at the city of Victoria, named for the former Queen of the United Kingdom and British North America, and the many exceptional NHL players who have called this city home! The first two players are brothers, but the name is very current in the minds of anyone following the NHL. Both players play for the Dallas Stars, and Jamie and Jordie Benn are front-and-center at the heart of the Stars' resurgence in the NHL. Jamie has become one of the NHL's best scoring threats, and has been in talks for a number of NHL trophies. He has an Art Ross Trophy to his name already, and helped Canada capture the gold medal at the 2014 Sochi Olympic Games. Despite his scoring prowess and NHL stardom, he's actually the younger brother of the other Benn child, Jordie! Jordie Benn is a defenceman with the Dallas Stars, and his path to the NHL has taken a little longer than Jamie's path did. He's a solid two-way rearguard who often plays a shutdown role for the Stars. Jordie has seen time in the ECHL, CHL, and AHL, taking him from Victoria to Allen, Texas to Cedar Park, Texas with him finally landing a top-six spot in Dallas. Perhaps the greatest fact about Jordie's career thus far? He played for a BCHL team called the Victoria Salsa. Yes, Jamie played for the Salsa as well. Ok, a better fact would be that Jordie's first NHL point came on a goal that both he and Jamie assisted on tht was scored by Loui Eriksson. The brothers are doing everything they can to catch the Gretzkys! Born in 1912, one of hockey's greatest innovators and builders called Victoria home. 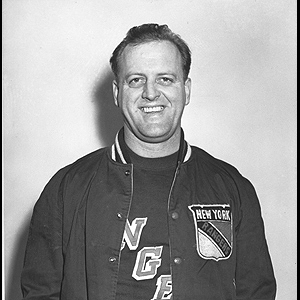 Lynn Patrick played in 455 NHL games, scoring 335 points and winning the 1940 Stanley Cup with the New York Rangers. His father, Lester, and uncle, Frank, were founders of the Pacific Coast Hockey League, and both have been inducted into the Hockey Hall of Fame. His brother, Muzz, and sons, Craig and Glenn, also played in the NHL! Lynn also served two years for the United States military in World War II! After returning from the war, he played one more season before being named as the AHL head coach of the New Haven Ramblers before taking over the head coaching duties for the New York Rangers in 1949. He would move onto the Bruins in 1950 where he coached until 1955, and took of the general manager duties from 1954 until 1964! He would be named as the first GM and head coach of the St. Louis Blues before giving the coaching job to Scotty Bowman. He retired in 1977 from the game, but still attended Blues games as often as he could. January 26, 1980 saw tragedy fall upon Patrick as he suffered a heart attack while driving home from a Blues game, and died in a car accident. In recognition of his accomplishments, Patrick was posthumously inducted into the Hockey Hall of Fame in 1980 and was a recipient of the Lester Patrick Trophy in 1989. He was 67 when he passed away. Rest in peace, Mr. Patrick. Since I mentioned him above, Murray "Muzz" Patrick was also an NHL veteran. Muzz was born in 1915, and he was a multi-sport athlete before settling on hockey. Muzz won the Canadian amateur heavyweight boxing title in 1934, and began playing for the Eastern Amateur Hockey League's New York Cresecents in the winter of 1934 after spending the previous years studying at McGill University. In 1938, Muzz got the call from the New York Rangers and suited up in the NHL! 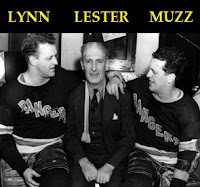 Along with his brother, Lynn, Muzz helped the Rangers win the 1940 Stanley Cup as a defenceman. He was fierce and rugged on the Rangers' blue line, never shying away from the rougher game. Muzz only managed five goals and 26 assists in 166 NHL games, but he was respected for his toughness. 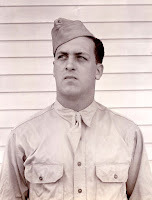 Muzz also served in the United States military from 1941-45 where he attained the rank of captain as he helped the Allied Forces win World War II. He, like Lynn, would return from the war and play one more season with the Rangers before finishing his playing career in the minor leagues. He would also gain experience as a coach in the lower tiers before the Rangers called him to take over the coaching duties in 1954! In his one-and-a-half seasons as the Rangers' boss, he missed the playoffs both times. He jumped upstairs to the GM role for the next ten years after his brief coaching stint. He named himself as the interim head coach for two games in 1959-60 - he went 0-1-1 - and as the head coach in 1962-63 before resigning after 34 games where he posted an 11-19-4 record - worst in the NHL at that point. Muzz would become a family man after his last stint in the NHL as head coach. He and his wife, Jessie, had four children who would bless them with twelve grandchildren! Muzz would pass away in 1998 at the age of 83. While he wasn't honoured with any major accolades, he will always be a Stanley Cup champion! Rest in peace, Mr. Patrick! There are other names that fans will recognize who hail from Victoria - Tyson Barrie, Joe Reekie, Ryan O'Byrne, and Rick Lapointe - but the Patricks and Benns are the only sets of brothers to hail from Victoria and have both play in the NHL on the same team. And if the Benns can get Dallas out of the Central Division in the NHL Playoffs, they could become the second brother tandem from Victoria to win the Stanley Cup while playing on the same team! I'm off the grid today as I'll be spending a sunny day in the town of Treherne, Manitoba. 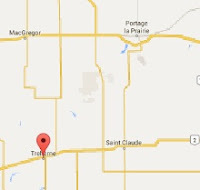 It's located about halfway between Winnipeg and Brandon, and about a half-hour south of Portage la Prairie. They have a brand-new aquatic center that might be one of the best in the province, and I'll be working as one of the umpires at the Treherne Northstars Slo-Pitch Softball Tournament! The Northstars are the local hockey program, and I'm pretty excited to be a part of this long-running tournament! But being that HBIC is a hockey blog, it's time to profile the only NHL player who hails from Treherne: Mr. Florent Robidoux! While he born in Cypress River on May 5, 1960, Florent grew up in Treherne. He certainly knew how to put the puck in the net as his two seasons with the WHL's Portland Winterhawks proved, but he never seemed to be able to crack an NHL lineup. Robidoux scored 79 goals and added 98 assists in 140 WHL games over two seasons! While he filled the net with regularity and certainly set up his teammates, Robidoux wasn't drafted by an NHL squad in 1980. Instead, he signed as a free agent with the Chicago Blackhawks and was assigned to the New Brunswick Hawks for the 1980-81 season. Florent played well in his first pro season at the AHL level. After 35 games where he scored 12 goals and 11 assists while showing some toughness in amassing 110 PIMs, the Chicago Blackhawks called him up to the NHL! It was here that Robidoux was asked to continue to play that tough role, often lining up against some of the NHL's toughest hombres. One such incident in his rookie season came when he and Boston's Stan Jonathan - never one to shy away from the roughness - got into an altercation! In Robidoux's defence, I'm not sure I'd want to tangle with Jonathan either, but he did his job in wrestling with one of Boston's agitators so that skilled Blackhawks such as Denis Savard and Tom Lysiak didn't have to worry about him. The Blackhawks would miss the playoffs in 1980-81, but Robidoux finished the season with six goals and two assists to go along with 75 PIMs in the 39 games in which he appeared. It seemed as though he made enough of an impact with the Blackhawks to warrant a longer look next season, but Robidoux started the 1981-82 season in New Brunswick once more. Once more, Robidoux made an impact in his AHL season as he posted 31 goals and 35 assists in 69 games while adding 200 minutes in the penalty box. Robidoux was tough, he could score, and he was a play-maker. The Blackhawks called on him once more, but this call-up only lasted four games. He did manage a goal and two helpers in those four games, but the Blackhawks would miss the playoffs once more. Instead, Robidoux went back to the New Brunswick Hawks - a team he helped to the top spot in the American Hockey League with 107 points - and dominated in the Calder Cup Playoffs. The Hawks dispatched the Adirondack Red Wings in five games and the Nova Scotia Voyageurs in five games before downing the Binghamton Whalers in five games to win the Calder Cup! Robidoux finished second in playoff scoring with the Hawks, putting nine goals and ten assists on the board in 15 games! With guys like Steve Larmer, Mike Kaszycki, and Warren Skorodenski on the Hawks' roster, there was a sense that the Blackhawks may move a number of players up. Robidoux appeared to be on the short list of players that the Blackhawks would promote, tragedy would strike Robidoux that would keep him off the ice for the entire 1982-83 season. Robidoux was in a car accident in July that resulted in injuries that required the entire season from which to recover, and it was a setback that changed Robidux's career trajectory for good. Chicago assigned Robidoux to the AHL's Springfield Indians in 1983-84 where he put up decent numbers: 26 goals, 22 assists, and 123 PIMs in 68 games, but Springfield finished fourth after changing players and lines on a weekly basis. They were ousted in Round One of the Calder Cup Playoffs. Robidoux, it should be noted, was recalled to the Chicago Blackhawks for nine games in this season, but he recorded no points and no penalty minutes in being used sparingly by the NHL club. Unhappy with the direction his career was taking in Springfield, Robidoux moved to the IHL's Milwaukee Admirals for the 1984-85 season where Chicago had placed players. Things seemed to get better for the power forward as he finished second in team scoring with 29 goals and 35 assists in 76 games while spending 184 minutes watching from the sin bin. Milwaukee, however, would have a dreadful season, finishing the year with a 25-47-10 record, dead-last in the IHL. Chicago, after seeing Robidoux bounce among lower-tier minor-league teams, cut Robidoux loose, making him a free agent in the summer of 1985. Looking to add some additional toughness to their team and affiliates, the Philadelphia Flyers signed Robidoux and assigned him to the AHL's Hershey Bears for the 1985-86 season! Things didn't go as well as Robidoux could have hoped, however, as he found himself down the depth chart and certainly down the enforcer chart in Hershey with some of the big kids they had. Robidoux only managed to get into 47 games, and his role was reduced to being a third- or fourth-line player. He managed just six goals and three assists to go along with 81 PIMs, and Robidoux would leave Hershey unsatisfied after playying in just three Calder Cup Playoff games while the Bears fell to the Adirondack Red Wings in the Calder Cup Final. Robidoux would sign with Milwaukee for the 1986-87 season, but he'd find himself sitting more often than playing. Robidoux would retire from professional hockey after just 15 games in his second stint with Milwaukee. His final season would see him post two goals and seven assists to go along with 16 PIMs, but he still showed the offensive capabilities in the playoffs that got him in the show. Robidoux would score three goals and three assists in six IHL playoff games before Milwaukee was eliminated from the Turner Cup Playoffs. There's the career of Treherne's only NHL player to date, and he appeared to be a good one before the car accident in 1982. He was a heckuva scoring threat, didn't mind dropping the gloves, and certainly could dish out a few helpers when needed. While there is very little information on where Florent Robidoux is today, he did appear in the news in 2010 when he and his son were part of a traveling AAA minor team that went all over the continent to play hockey! Florent Robidoux - a small-town Manitoba hockey legend! The finalists for the IIHF Men's World Hockey Championship have been set. Canada will have an opportunity to defend the title they won last season, but the bigger story will be if the Finns can down the Canadians to become the first nation in IIHF history to win the World Championship, the World Junior Championship, and the World U18 Championship in the same year. It's not like the Finns have come out of nowhere, but this year's edition of Finland's men's program is all sorts of talented. The World Junior Championship saw three players make their marks by dominating the tournament scoring in a big way. Patrik Laine, Sebastien Aho, and Jesse Puljujärvi emerged onto the hockey scene, had fans rising out of their seats often, and had scouts drooling at the possibility of being able to draft two out of the three young Finns. Aho, a Carolina Hurricanes draft pick, is the only one who can't be drafted, but the Hurricanes have to be happy with their pick from last year's draft. Laine and Puljujärvi were incredible in terms of their chemistry at the tournament. Laine showed off an incredible shot that has often been compared to that of his idol, Alexander Ovechkin, while Puljujärvi demonstrated exceptional hands and vision as the setup man with a flair for finishing plays when given the opportunity. Puljujärvi was named as the 2016 World Junior MVP, and these two Finns had everyone talking about the 2016 NHL Entry Draft for good reason. Puljujärvi went on to play for the Finnish U18 squad in Grand Forks, North Dakota at the IIHF U18 Hockey Tournament in April, and put his talents on display once more. 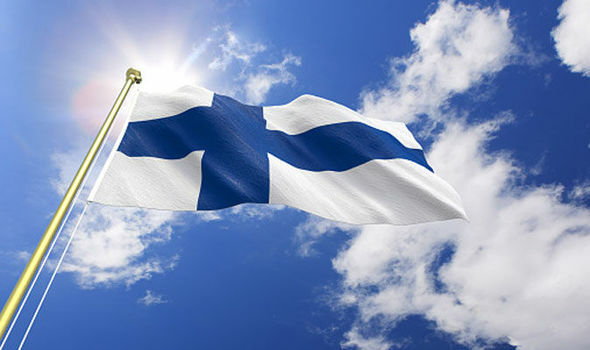 Goaltending - always a strength for Finland - was once again bolstered by the play of the two netminders in Ukko-Pekka Luukkonen and Leevi Laakso as both goalies played a part in helping Finland capture the gold medal. Major contributions from Eeli Tolvanen, Aapeli Rasanen, and Kasper Kotkansalo should have the Finns on the podium at future tournaments as well. "Of course, it's a big year," winger Janne Kuokkanen told reporters. "Finland won the World Juniors and now we won this. I think it's probably the best year ever for us. If we keep working hard, maybe we will win again next year." Of course, the final step in the trifecta is winning the 2016 IIHF Men's World Championship where both Laine and Aho are putting on another offensive display. Finland will meet Canada in Moscow on Sunday evening where the Finns took Round One by a 4-0 score in the preliminary round. Joining Laine and Aho in the dominant Finnish offence are players you'll recognize: Mikko Koivu, Jussi Jokinen, Mikael Granlund, and Aleksander Barkov. These are the players who have carried the load offensively, but there's so much more to the Finns. If you haven't noticed him, Antti Pihlstrom is a blur on the ice and has been an effective forechecker and agitator. Teemu Pulkkinen, who has been up and down with Detroit, adds more goal-scoring talent to the third line while Jarmo Koskiranta has done everything he can to pester opposing forwards in a solid two-way role. Toss in a scoring and agitating Leo Komarov, and this Finnish team is as deep as any in the tournament up front. They also have solid goaltending thanks to the play of Mikko Koskinen who has been fundamentally sound and has only allowed eight goals on 136 shots. Defensively, Esa Lindell of the Texas Stars has been outstanding at both ends of the ice while Juuso Hietanen leads the blueliners with four assists. The key to the Finnish defensive play, though, has been their speed and angling to keep shots and players away from Koskinen. The Finns block shots like enjoy it and, when you put it all together, is a large reason why they are the only undefeated team in the tournament still. In most tournaments, a Canada-Finland match-up would have the Canadians as the favorites. Tomorrow's game will see the Canadians as the underdogs as the two teams battle for gold. Finland has looked impressive throughout the tournament, so it will be a good test for the Canadians if they hope to ruin a bid at history. If there's one thing I hate more than anything, it's the decision by the IIHF to play one overtime period followed by the shootout. For round-robin games, I understand the importance of finding a winner in an allotted amount of time since there are multiple games planned each day in one or two venues. However, once the medal round begins, the shootout shouldn't even be an option yet we've already seen the Czech Republic eliminated via shootout in the quarterfinal. Today, the IIHF made some changes to its overtime format that really amounts to no change aside from trying to generate more offence in the extra period prior to the shootout. In case of a tie at the end of regulation in a quarterfinal, semi-final and bronze medal game, there will be a 10-minute, sudden-death overtime period, following a three-minute intermission. The teams will defend the same goals as in the third period. The team, which scores first is the winner. In the gold medal game there will be a 20-minute sudden-death overtime, following a full intermission during which the ice will be resurfaced. The teams will change ends. The team which scores first is the winner. All sudden death overtime periods are played four skaters on four. If no goal is scored during the sudden-death overtime, there will be game winning shot (GWS) competition "shootout". Each team must select three shooters to compete in the GWS. If the score is still tied after the teams have had three attempts each, the teams continue to shoot in pairings until the shooter of one team misses and the shooter of the other team scores. Basically, the IIHF states that all games needing overtime except the gold medal game will be played 4-on-4 in a ten-minute extra period. If no winner is found, it's off to the shootout to find a winner. If overtime is needed in the gold medal game, the two teams will play a 20-minute overtime period four-on-four. If no one scores, it's off to the skills competition. Pretty simple, but a completely dumb rule in which the team element of the game of hockey - the importance of which we hear in every interview - is tossed out the window for a one-on-one breakaway challenge. If medals are on the line, let the teams play! In the preliminary-round the overtime period will be played up to five minutes with three-on-three skaters. If still tied, a shootout with three rounds and if necessary tie-break shots will take place. In playoff games (except for the gold medal game) the overtime period will be played up to ten minutes with four-on-four skaters. If still tied, a shootout with five rounds and if necessary tie-break shots will take place. In the gold medal game the overtime period will be played up to 20 minutes with five-on-five skaters. If still tied, a shootout with five rounds and if necessary tie-break shots will take place. These new rules will be take effect immediately following the IIHF Men's World Hockey Championship, and will be put in place for all IIHF men's, women's and junior categories at all levels. Prepare yourselves accordingly for what amounts to one less player in round-robin overtime games to try and find a winner while the gold medal game gets an extra skater for the full five-on-five experience in overtime. Dramatic changes, IIHF. Excuse my sarcasm. Look, I have a hard time with saying that Finland is better than Sweden if Mikko Koivu scores on Jacob Markstrom in the shootout. I struggle with awarding anyone full credit as a team when one player out-duels the other team's goaltender in a one-on-one challenge. So it's in this idea that I'd like to introduce a new team element to the shootout: the hunter and the hunted. If the IIHF wants to do something crazy where there is a greater team element to the shootout, this is the idea. The shooter still starts at center ice, but an opposing player starts at the opposite blue line from the goalie. The shootout starts with the same whistle, but the whistle now allows the opposing player to chase down the shooter, thereby making it an actual breakaway competition, not some lazy meandering towards the goalie while exploring the majority of the offensive zone. If the player chasing the breakaway catches the player and knocks the puck away legally or forces the player to shoot and the goalie makes the save, the shootout attempt is unsuccessful. If the shooter successfully converts the shot whether the chaser catches him or not, the shootout attempt is successful. By introducing the chaser, the shootout is now more like a real game situation rather than some skills competition in which Linus Omark can dangle for three minutes before taking a shot. With the rule changes announced today, there might be more games finished in the preliminary round in overtime, but the medal round results will change little when it comes to teams looking at their rosters and trying to determine if they have the skill to win in the shootout. If a game in the medal round goes to overtime, teams are happier to sit back and protect rather than risking a loss in going for broke. The rule changes will change little in how games are determined in the medal round, IIHF. And we're still stuck with the possibility that the gold medal will be determined by a skills competition. That shootout is a helluva team element, don'cha know. The Hockey Show, Canada's only campus-produced hockey radio show, is back with a pile of hockey news to go over in our short hour! If there is one team that every Manitoban should be proud of, it's the Brandon Wheat Kings who are in Red Deer, Alberta as you read this preparing for the Memorial Cup! This team has been outstanding over the last few years, and we'll talk a little about them on the show tonight! As well as pouring adulation all over the Brandon Wheat Kings, Teebz, Beans, and TJ will wrap up Round Two of the Survivor: NHL Playoffs contest, discuss the disbanding of the DEL's Hamburg Freezers whose logo is to the left, the money problems plaguing the KHL and its desperate attempt to expand across Europe, the NHL Conference Finals, a new coach added to the Bisons men's hockey team's bench, and the World Hockey Championships where Canada and Sweden battled today. We may also touch on Vince McMahon's hockey ownership saga and discuss what personalities would make for an awesome hockey franchise owner. Because that will be an insane discussion. We also have a ton of promotional stuff to get to, a new announcement about Bisons men's and women's hockey, and a major announcement for a festival that UMFM is proudly supporting! All in all, it's going to be a busy show, and we may even get a call-in from a special guest who wants to talk about the Survivor: NHL Playoffs contest! What other hockey show discusses all this stuff? None. Not TSN. Not The Fan. Not your local sports talk radio. Only The Hockey Show on UMFM covers it all! The phones are wide-open tonight so give us a call at (204) 269-8636 (269-UMFM) if you wanna get in on the discussion! Make sure you tune your radio dial in the Winnipeg region to 101.5 on your FM dial or listen live between 5:30pm and 6:30pm CT on your web-enabled device at the UMFM webpage! Tweet me anytime with questions you may have by hitting me up at @TeebzHBIC on Twitter. You can also post some stuff to Facebook if you use the "Like" feature, and I always have crazy stuff posted there that doesn't make it to the blog or show. The boys recap the world of hockey and all its crazy stories on The Hockey Show only on 101.5 UMFM! I haven't watched professional wrestling with any sort of regularity since my high school days. In other words, I haven't watched it in a good while. 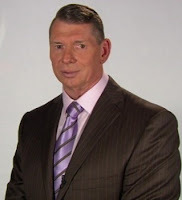 If there is one person who has transcended the eras and champions of the former WWF and now WWE, it's owner, chairman, and sometimes-wrestler Vincent Kennedy McMahon. Vince, as you're probably aware, is a pretty good promoter of his brand and company, and he's certainly built the WWE into a worldwide phenomenon. He's dabbled in other sports as well with a venture into football as the owner of the XFL, but did you know that he was an aspiring AHL owner early in his sports entertainment career? The Eastern Hockey League was reformed after the Northeastern Hockey League rebranded itself in 1979-80. Baltimore joined the league, and the Cape Cod team relocated to Richmond, Virginia. This gave the league some steady franchises in two easy-to-reach road trip circles: Richmond, Baltimore, and Hampton in one circle and Utica, Johnstown, and Erie in the other. Like any fledgling league, though, there were some issues and teams relocated for the second season in 1980-81. Utica moved to Salem, Virginia, and Johnstown dropped out of the league only to be replaced by Syracuse. The Syracuse franchise was already behind the eight-ball in its late inclusion, and was forced to ice a team with rather inadequate players. After starting the season 0-9-1, Syracuse folded. On July 19, 1981, the five owners of the remaining teams met and decided to fold the EHL in favor of founding the Atlantic Coast Hockey League. The ACHL consisted of Baltimore, Salem, Winston-Salem, and Mohawk Valley - aka Utica - as the original teams, and Richmond showed interest. Because of geographic locations, a more northern sixth team was sought to help Utica. Johnstown appeared to be the team, but the owner fell ill and the team was pulled from consideration. The Boston Bruins and a group of investors from the Cape Cod area approached the ACHL with the intent to supply the sixth team. The investors, however, failed to pay the $15,000 ACHL membership fee, leaving the Cape Cod franchise in a bind. Cape Cod Coliseum owner Vince McMahon recognized that his major tenant wasn't going to ice a team, so he did what he needed to do to protect his arena's investment, and he paid the $15,000. Vincent McMahon was now a hockey team owner! McMahon had larger dreams prior to buying the ACHL team. McMahon had approached the American Hockey League with the intent on putting an AHL franchise into his arena for the 1981-82 season. McMahon, unfortunately, was unable to finalize plans and get them in front of the AHL Board of Governors before the summer break, so he took the opportunity to buy the ACHL franchise and work with the Boston Bruins. While all of this was happening, the Intercontinental Major Hockey League was starting up, and threatened to move in on some of the franchises in the ACHL. The IMHL, however, had very little financial support, and the three founding franchises that they had hoped to get off the ground applied to join the ACHL. Of the three, Schenectady and Fitchburg were accepted into the fold. Richmond, Virginia, however, backed out of the ACHL, and the league would open its doors with seven franchises to its name. Initially, Vince McMahon voiced opposition to the additions of Schenectady and Fitchburg as both franchises were owned by the same man in Robert Critelli. He asked the league to investigate the franchises as it seemed they were icing inferior talent compared to the rest of the league, and the league obliged. The Cape Cod Buccaneers were officially unveiled in August of 1981. McMahon's first move as owner was to hire former New Haven Nighthawks player Jim Troy as the team's coach and general manager. McMahon's venture seemed to be a wise one as the Cape Cod Coliseum was attracting fans for hockey, and the team was starting to develop a following. September of 1981-82 saw a seven-team ACHL open its doors. The Salem Raiders, Winston-Salem Thunderbirds, Mohawk Valley Stars, Baltimore Skipjacks, Cape Cod Buccanners, Fitchburg Trappers, and the Schenectady Chiefs were the initial members, and there was hope that this new league's venture in the northeastern United States would prove to be a prosperous one for all involved. In reality, the ACHL was nowhere near prosperous. The two Critelli teams - the Schenectady Chiefs and the Fitchburg Trappers - folded within the first month of the league's existence as it was found that Critelli's finances weren't as they were forecasted, and Winston-Salem was nosediving towards bankruptcy quickly within the second month. The Buccaneers, for what it's worth, finished the season at 17-21-1 after the emergency meeting. Despite having 35 points and being four points better than the fifth-place Winston-Salem Thunderbirds, the Cape Cod Buccaneers missed the playoffs for one very good reason: Vince McMahon folded the team in January 1982. Cape Cod found the lack of northern-based teams to be a strain on the team's finances, and owner Vince McMahon tried to borrow $15,000 from the ACHL to supplement his spreading red ink. He was accused by the other owners of trying to recoup his membership fee, and this didn't sit well with McMahon. In announcing that he was shutting down the Cape Cod franchise, he also announced that Winston-Salem was folding as well. Winston-Salem, it turned out, did not fold and actually participated in the ACHL Playoffs. I have no idea where McMahon got the idea that they would be folding, but c'est la vie. Despite lasting for just over half the season, the team did get some strong performances on the ice as former NHL star Fred Ahern led the team in points with 36 while Jerry Curley and Mark Fidler shared the goal-scoring lead with 17 apiece. Goaltender Jim Stewart, who bounced around the Bruins' minor-league affiliates, played in 26 games, posting a goals-against average of 4.17. So what happened to Vince's interest in finding a tenant for the Cape Cod Coliseum outside of his wrestling venture? Despite hosting several wrestling events a year in the building, McMahon couldn't find another permanent tenant. In 1984, McMahon sold the arena to Christmas Tree Shops and converted to a warehouse. And with that sale, Vince McMahon wouldn't step into the hockey world as an owner again. It's not like Vince McMahon fell on hard times, though. He took over the business his father ran, and turned it into a global force in which he crushed and eventually absorbed his rivals in Ted Turner's WCW and the ECW. The WWE is an industry unto itself, and Vince has played a big part in that success. To me, it would have been interesting to see what would had happened had he been able to pull everything together for an AHL franchise. Could you imagine that? The Louisiana IceGators probably aren't a well-known team across Canada or through the northern United States, but they have had a solid history of hockey in the state of Louisiana. 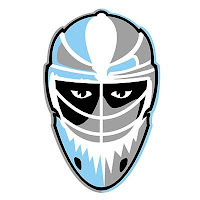 Beginning as an ECHL team from 1995-2005, the team was brought back to life in 2009 as a member of the Southern Professional Hockey League by entrepreneur Danny Smith. If the IceGators name rings a bell, you might remember that Chicago Blackhawks goaltender Scott Darling played a short time there before getting his shot in the NHL. So you might be asking why HBIC is writing about an SPHL team that has yet to win a championship and has only seen one player graduate to the NHL? Well, the IceGators have decided to close up shop for one season while their home, the Cajundome, undergoes renovations. Minor-hockey teams have done this before, but this move by the IceGators is a little peculiar. While I completely understand the idea of renovations to an arena that houses the Louisiana–Lafayette Ragin' Cajuns men's basketball program and is an NCAA men's basketball tournament site, having an SPHL team take a full season off makes no sense. Here me out on this one. The Cajundome holds 11,433 fans for hockey. The IceGators averaged 2109 fans last season, and peaked in the 2013-14 season at 2372 fans. I don't fault the IceGators for playing in a venue like the Cajundome which is a great arena. I do fault them, however, for calling the season off when they barely fill 20% of the Cajundome on average. Can they not find another hockey rink in the Lafayette area that can hold 2500-or-so people for this season? The Ragin' Cajuns women's basketball team plays the majority of their games out of Blackham Coliseum, a place where the SPHL IceGators once called home. When the team was brought back, they played their first season in the SPHL at Blackham Coliseum in 2009-10. The Coliseum holds 5500 people for most events which would be more than suitable based on the number of fans the IceGators attract. So why can't they play at Blackham Coliseum for one season while the renovations take place? Well, it turns out that the IceGators DID explore those options. According to Luke Johnson of The Advocate, the option were pretty limiting when it came to the bottom line according to IceGators GM Louis Dumont. 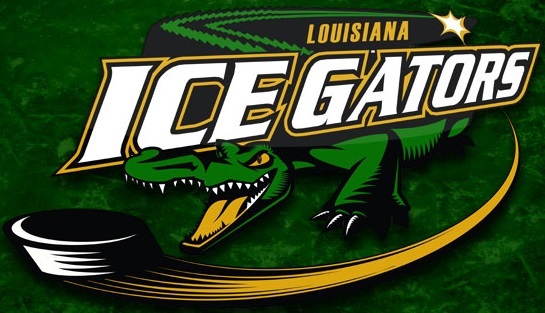 "The IceGators also considered at least three other sites, including Blackham Coliseum and arenas in Lake Charles and Baton Rouge, but none provided a solid alternative. "'Baton Rouge was maybe an option for the first part of the year, but the cost of having the games over there and splitting our season-ticket money and sponsorship, it would've been pretty difficult to split and play a third of the season over there, then come over here,' Dumont said. 'Blackham Coliseum has a lot more on its schedule than people think or know of. So converting to hockey would've been a daunting task.'" The decision to suspend operations for one year was made pretty easily once these options were played out, and the decision was reached quickly. "Doing all the legwork and seeing what our options were, what it would cost and actually putting down the numbers, we knew probably at the end of the calendar year of 2015 that we were more than likely going to have to think about suspending operations," Dumont told Johnson on Monday. "Once the season was over is when the true, hard decision was made." The key in all of this was getting approval to suspend the IceGators' membership in the SPHL for the upcoming season while the $22 million renovation of the Cajundome went on until mid-December. "If we would dissolve, we would lose our affiliation, wouldn't be able to come back the next year, wouldn’t be able to even sell our organization if we needed to sell it and move somewhere else," Dumont said. "We would've lost all those options." There's your reason for there being no IceGators in The Frozen Swamp this season. By suspending operations after exhausting all other options, they are able to resume play in 2017-18 in the SPHL without missing a beat. While the SPHL loses a key member for one season, the renovation will hopefully ensure greater viability for the IceGators moving forward. In the end, good business sense may save a franchise by keeping it off the ice for a season. As a die-hard Penguins fan, seeing Crosby tickle the twine with that shot for his first NHL playoff overtime goal had me giddy. In scoring just 40 seconds into the extra frame, he also set the record for the fastest overtime goal in Penguins history. The series is now tied 1-1 and heading to Tampa Bay after the 3-2 Penguins win, and the Penguins know they can skate with the speedy Lightning which should have the Florida-based team looking to find way to get to Matt Murray. Will we see a Bishop return? How close is Stamkos to returning from his blood clot issue? We might get answers to both questions with the series moving to Florida. But one thing is certain: playoff overtime hockey is the best hockey. Period. 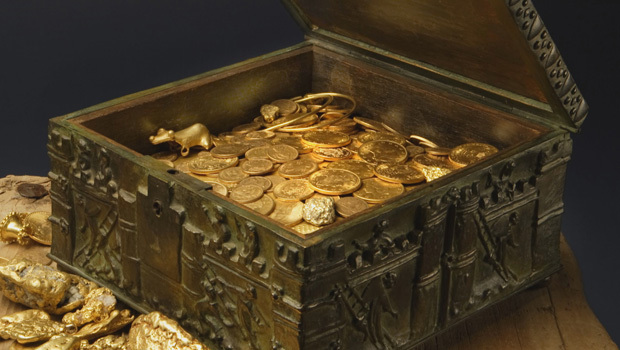 Let's be honest when I tell you that the HBIC Playoff Pool won't bring you riches or treasure like you see to the left. There is some pride you can take from winning if you're the lucky entrant whose predictions and prognostications were the most correct, but I can assure you that you won't find yourself on East Street thanks to HBIC. Heck, even I can't pull that off and I run this joint. The one thing that is a sure thing, however, is that there are prizes for the top competitors and we'll look at those today. First off, there was a bit of change to the prizing. I had a couple of stakes in the fire with a local vendor who was going to send me some cool merchandise, but the vendor's situation has changed. Without going into a lot of detail, there was going to be artwork guaranteed for each winning entrant, but the vendor's landlord where his studio existed sold the building and he lost his art space. Needless to say, no art has been produced, so I apologize for that despite it being out of my control. In saying that, all of the prizes are still worth $35 and up based on retail prices, and I have to say that one guy came through in a big way to make the prizes a little more awesome. The prizes that were donated through various means throughout the year are pretty good if I do say so myself, but I want to point out the efforts made by Kyle Jordan to make them a little better. Kyle Jordan is one of the men behind the Puck Off Opener and he donated seven pucks to be given away. The Puck Off Opener is a puck with a bottle opener embedded in the bottom side of the puck. I have one, and I have to say that it is quite the conversation piece around the patio and the barbecue. If you wanna get a Puck Off Opener, click the link or send an email to Kyle for more information. And while you're at it, check out the Pond Hockey Brew site as well. There's some excellent info there! Ok, so you've read this far anticipating some solid prizing. I'm hoping that without the artwork that the prizes still meet your expectations. It's free shwag, so there better not be any complaints about the gear. Without further adieu, here are the prizes for the top-eight entrants in the HBIC Playoff Pool! PRIZE 1: Phoenix Coyotes throwback jersey (XL), a Puck Off bottle opener, and a Blind Skateboards sticker. PRIZE 2: Anaheim Ducks t-shirt (XL) and a Puck Off bottle opener. PRIZE 3: New York Rangers long-sleeved t-shirt (XXL) and a Puck Off bottle opener. PRIZE 4: Pittsburgh Penguins t-shirt (XXL) and a Puck Off bottle opener. PRIZE 5: Tampa Bay Lightning Flex-Fit cap (L/XL) and a Puck Off bottle opener. PRIZE 6: St. Louis Blues adjustable cap and a Puck Off bottle opener. PRIZE 7: Anaheim Ducks adjustable cap and a Puck Off bottle opener. PRIZE 8: Boston Bruins adjustable cap and a Blind Skateboards sticker. Ok, so there is the haul for those that qualify for prizes. That being said, they may not compare to previous years, but the artwork I had hoped for would have made up for the difference. That was out of my control, unfortunately, and I'm hopeful for my friend to get back on her feet and get painting anf drawing again. Best of luck to all the entrants, and we'll get to awarding the prizing once the Stanley Cup Playoffs end and the final points are tabulated and calculated. May the odds forever be in your favour, and let's hope that you can earn a prize in the 2016 HBIC Playoff Pool! They hadn't won a World Hockey Championship game since 1939. It's been 77 years since that win, but Hungary finally broke through to qualify for the top level of the IIHF World Hockey Championship this year. Most figured that this team would show up, do their best, get blown out, and go home. To date, they had scored just four goals in the tournament, but they made some history today! Hungary, ranked 19th in the world by the IIHF, defeated Belarus by a 5-2 score today, marking their first victory in a modern IIHF championship ever! They lost yesterday to USA by a 5-1 score in which they did everything they could to hold the potent American offence at bay, but they couldn't keep one of the world's premiere hockey powers off the scoreboard forever. Full credit goes to the Hungarians, though, as both they and their fans were in this game from start to finish despite looking overwhelmed at times. What they learned in that game, however, was that they could skate with the better teams in this tournament. Hungary pressured Belarus all day, and the result was a victory for the country against a team that should be taking no one lightly. Belarus has a few former NHL players on its squad while Hungary features a kid who plays in a junior league in Texas. Clearly, the Hungarians played above their heads against the Belorussians today. The upset of Belarus is more than just a historic moment in the country's history, though. The win also ties Hungary with Belarus in the standings with three points. What looked like an inevitable relegation is suddenly not so certain with the victory today, and Belarus should now be worried after this poor showing today. Hungary has Germany on Monday while Belarus has a game against France on Tuesday. Both games carry huge implications as Hungary now holds the tie-breaker against Belarus. In other words, a regulation win against Germany would assure that Belarus would be relegated and Hungary would return to play in next year's World Championship in France and Germany. A loss to Germany in regulation would mean that Hungary would be cheering for France as they would have to beat Belarus in regulation time. If anyone thought that Hungary would go silently back to the Division 1 championship, they have been proven wrong! 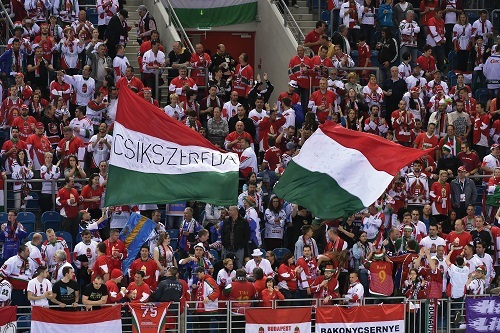 For the fans from Hungary who have proudly been in the stands for every game that Hungary has played, there were tears and excitement at the end of the game. The patriotic showing has not gone unnoticed by the IIHF or the world as the Hungarian games - normally sparsely populated in the stands - is 15th out of 16 teams in attendance. You might say, "So what? Big deal," but it IS a big deal for this country's hockey program and its fans. These are the people that sing the national anthem loudly, often drowning out the winning team's anthem, while the team lined up along the blue line. These are the fans whose singing and support during the games has been noticed by both the TSN announcers and the players on the ice. "They're crazy," Canadian captain Corey Perry said after the May 8 game against Hungary. "They stayed with it the whole game. It's a lot of fun to watch." While they won't make the quarterfinals at this point, Hungary has shown incredible growth in just a few games. They're bolstered by their fans, they seem to enjoy rising to the occasion, and they are doing everything they can to give the other teams in their pool nightmares about playing them. If they win against Germany and Slovakia drops its final two games to Canada and Finland, Hungary would finish ahead of the Slovaks as well. History was made today, but the Hungarians aren't done writing their chapter just yet. Well, that was rather uneventful. Both of the Game Seven games in the Western Conference turned into blowouts that no one was expecting, but it furthers the story line of this year's NHL Stanley Cup Playoffs and HBIC Playoff Pool! Honestly, I didn't think the Predators would roll over as easily as they did against the Sharks, but the NHL is quickly realizing that this Sharks team is hungrier more than ever. Can they knock off the St. Louis Blues in the Western Conference Final? Who will meet either the Penguins or Lightning in the Stanley Cup Final? And, most of all, who has the lead in the HBIC Playoff Pool?!? Scores are being tabulated and calculated today, so there should be an update sometime today. In the meantime, let's get you setup with the new spreadsheet. Some of you may want to risk points on one of the two remaining series, so make sure you check the leaderboard before the start of the Lightning-Penguins game tonight and get that info in. I will have the scores updated by that time. Once more, there's another pretty little Excel document that can be opened in both Microsoft Excel and OpenOffice Calc. Fill it out and send it back to me WITH YOUR NAME AS THE NAME OF THE EXCEL DOCUMENT just like you did in the first round, but note that it is a Round 3 spreadsheet (ie. TeebzR3.xlsx). Send all picks to the pool email address: hbicplayoffpool-at-gmail-dot-com. Eight prizes, which will be posted on Sunday, are up for grabs! May the odds be ever in your favour! The Hockey Show, Canada's only campus-produced hockey radio show, is back tonight with another fantastic guest as we get to know the residents of Letterkenny a little more! As you may be aware, Jared Keeso and Nathan Dales, the two men who were the original Letterkenny guys, have appeared on the show, and we'll have them back once filming wraps on Season 2 of the show! Tonight, however, we meet another one of the key residents, and this Canadian actor has been working in TVs and movies for most of his adult life! While his name may sound identical to a high-scoring Tampa Bay Lightning forward, Tyler Johnston has been acting non-stop since 2004! 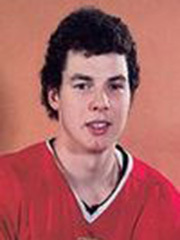 Johnston has appeared in TV shows such as The L Word, Supernatural, and Less Than Kind from where he may be best known, but he's also had some fantastic hockey roles as he appeared as the young Don Cherry in Wrath of Grapes, the second Don Cherry movie, and as Alex Gorrall in Slap Shot 3: The Junior League. 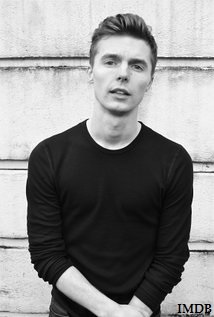 Tyler is currently working alongside both Keeso and Dales in Letterkenny as Stewart, one of the "skids" or goth residents of the fictitious town. We'll talk to Tyler about his career in front of the camera, his time on Letterkenny, and what may be next for one of Canada's brightest young stars. Tyler, having been born in New Westminster, British Columbia, is also a hockey fan, so we'll chat with him about the Canucks, the NHL Stanley Cup Playoffs, and we'll get his picks from the final five teams for the Stanley Cup Final. We'll also find out if he played hockey as a youngster, what it was like playing one of Canada's hockey icons in Don Cherry, and if he dominates the Letterkenny staff games! The phones are closed tonight with Tyler calling in from BC! To hear all of Tyler's chatter, make sure you tune your radio dial in the Winnipeg region to 101.5 on your FM dial or listen live between 5:30pm and 6:30pm CT on your web-enabled device at the UMFM webpage! Tweet me anytime with questions you may have by hitting me up at @TeebzHBIC on Twitter. You can also post some stuff to Facebook if you use the "Like" feature, and I always have crazy stuff posted there that doesn't make it to the blog or show. We talk to Canadian actor and Letterkenny resident Tyler Johnston tonight on The Hockey Show only on 101.5 UMFM! After watching the Presidents' Trophy-winning team fall the night before, the second-best team in the NHL's regular season will be watching the rest of the playoffs tonight after a rather dismal performance. The St. Louis Blues have advanced to the Western Conference Final with a 6-1 defeat of the Dallas Stars, and they did it in rather convincing fashion in Game Seven. If NHL teams like to model themselves after the winning teams, St. Louis made a very clear statement tonight about how teams win in the playoffs. Dallas almost flipped the script on winning in the playoffs by pushing the offence. Where they fell short, though, is that their goaltenders didn't provide them the key netminding moments they needed to continue to push the pace. This happened in the regular season at times, and it fell under a microscope in these playoffs. I won't lie in saying that I love Dallas' approach to the regular season where the run-and-gun attitude was exciting and entertaining. Dallas could score in bunches when they had to simply by pushing the play and upping the tempo. In the playoffs, though, it becomes much harder to push the play when you're consistently being out-hit and and smothered in the offensive zone. St. Louis won the physical battles and made life impossible in their own end for the smooth-skating Stars. The thing is that the Stars aren't far off from getting out of the Central Division, but they're always going to be second-class citizens to the Blues and the Blackhawks - and possibly the Predators - unless they show some mental and physical toughness in the playoffs. They need to lock down their own zone, and then they'll be far more dangerous. Of course, having two netminders who looked like they were dodging the puck rather than stopping it in tonight's Game Seven doesn't help. Kari Lehtonen, whose playoff performances have been questioned since his days in Atlanta, was pulled again in this series after allowing a pile of goals, some of the rather stoppable nature. Antti Niemi didn't do much to solidify and/or take the starter's role either, so Jim Nill's plan to go with the all-Finnish puck-stopping duo fell a little flat. The other thing that concerned me in watching Dallas is that they didn't have a response to Kyle Brodziak, Troy Brouwer, and Steve Ott for most of the series. Granted, they weren't splashing ink all over the scoresheet, but they constantly were pressured and checked by these three men. That kind of pressure and physicality takes its toll on players who, for the most part, were used to playing a more offensive-minded game. Wearing teams down in the playoffs is an intangible skill, and the men named in this paragraph are good at making the bumps and bruises hurt a little more with the way they play the game. So why should fans of the Dallas Stars be excited despite watching their team fall out of the playoffs? There's a good core of players in Dallas with Tyler Seguin, Jamie Benn, Jason Spezza, and John Klingberg leading the way. Arguably, those four are as good as any four stars on one team in this league, and they'll be the men who lead the Stars to higher glory. This Dallas team, while having stumbled, is a work in progress and should be considered as such until they can escape the Thunderdome that is the Central Division. 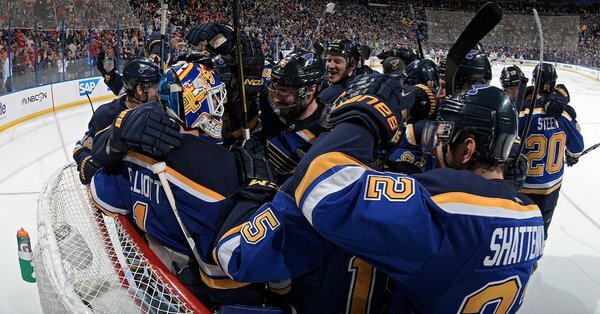 There are excellent pieces in place to make that happen, but they need some support and it will be up to Jim Nill to find those support pieces after watching the St. Louis Blues expose the Achilles' heel of this team in its goaltending. You have to wonder if Jack Campbell can be the next Marty Turco or Ed Belfour for the Stars. For as talented as Seguin, Benn, Spezza, and Klingberg are, you still need a solid goalie to win a Stanley Cup. Right now, Dallas doesn't have that luxury. 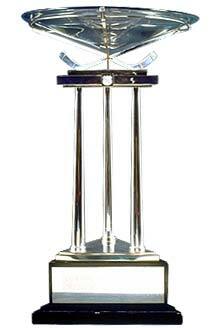 Since 1986, the NHL awards the top team in the regular season with the Presidents' Trophy. It's almost a foregone conclusion that if a team wins the Presidents' Trophy, they won't win the Stanley Cup. In fact, in the thirty years that the Presidents' Trophy has been awarded to the best team in the regular season, that team has only won the Stanley Cup eight times. That's just a 26.7% winning percentage for the best team through 82 games, and it's part of the reason why the Stanley Cup is the hardest trophy in sports to win. Besides having the best winning percentage through the regular season, that team needs to add at least four win in seven attempts in four additional rounds. It's clearly not as easy as it sounds. Pittsburgh needed six games to dispatch the Washington Capitals who were this season's best squad. In several of the games, Pittsburgh was far and away the better team on the ice in all three zones. That's not to say that Washington didn't have their chances, but they ran into a hot goalie in Matt Murray, ran into a team that rolled four lines and got contributions from each of them, and squared off against a team that had one of the best second halves of the season in the NHL. In the end, Washington simply couldn't overcome these factors. Give full credit to Mike Sullivan, the head coach of the Pittsburgh Penguins, as he replaced the flailing Mike Johnston midway through the season and implemented a defensive system that made players accountable. He turned that accountability into allowing the skilled players to make plays and generate turnovers where the Penguins could capitalize. The Penguins team that eliminated the Capitals was a far different one than the Penguins squad seen at the start of this season. Perhaps most surprising in this series was the play of Pittsburgh's new second line in Carl Hagelin, Nick Bonino, and Phil Kessel. This line, since being cobbled together following an injury to Evgeni Malkin in the regular season, has been nothing short of spectacular, and Phil Kessel is looking every bit the $8 million man that Pittsburgh thought they were getting in the trade with Toronto. With a solid second line, a third line consisting of Chris Kunitz, Malkin, and Eric Fehr, and a top line that has Crosby, Patric Hornqvist, and Connor Sheary, this Penguins team has the depth to match up with most teams. For Washington, this setback shouldn't be looked at as a blowing up point. This team is built to win, and there have been many examples of teams in a similar situation that have lost before reaching the Holy Grail. Make no mistake that this is a disappointing end to the season for the Capitals, but we need to be honest in saying that they have an elite goaltender, a solid blue line, and a collection of forwards that make most GMs jealous. This team will have its day in the sun, but it just won't be this season. If there was one moment where momentum could have swung widely, it was in overtime when a pesky Washington forward named Jay Beagle made the save of the series. That is simply outstanding hand-eye coordination to be able to swat that puck out of the yawning cage when it's 18-inches off the ice! Despite Beagle's series-saving netminding at that point, the momentum didn't shift too dramatically, and the Penguins ended the series some four minutes later off a Nick Bonino goal. Game, set, match for the Washington Capitals. For those expecting me to heap blame on one of Alexander Ovechkin, Brooks Orpik, or any other Capital, you're in the wrong place. I don't think any one player contributed to Washington's loss that were wearing red-white-and-blue. Instead, the guys in yellow and black were up to the challenge in this series, and they outplayed the regular season's best team. 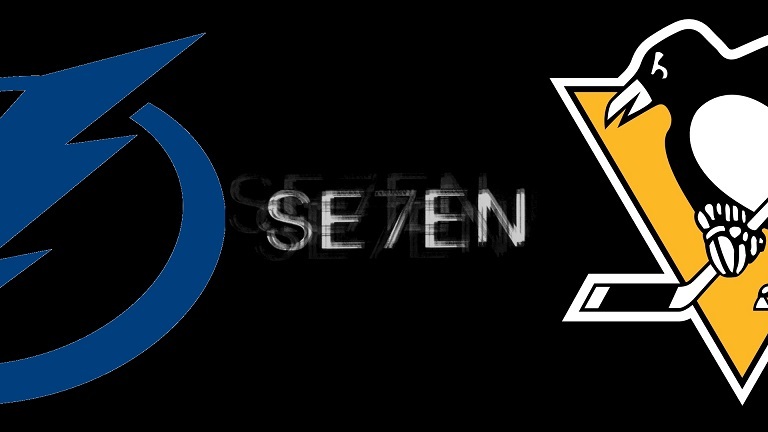 Tampa Bay will visit Pittsburgh on Friday evening for the start of the Eastern Conference Final. The Washington Capitals will go home, regroup, and come back just as strong as next season. They'll learn from this setback, and reset their sights on postseason success as the next step. Consider that a warning for the NHL for next season. Is This a Playoff Roster?